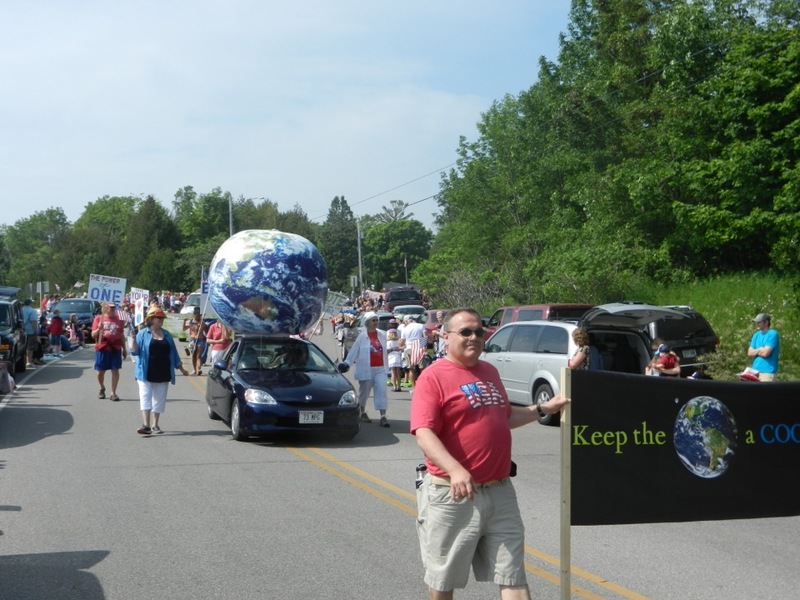 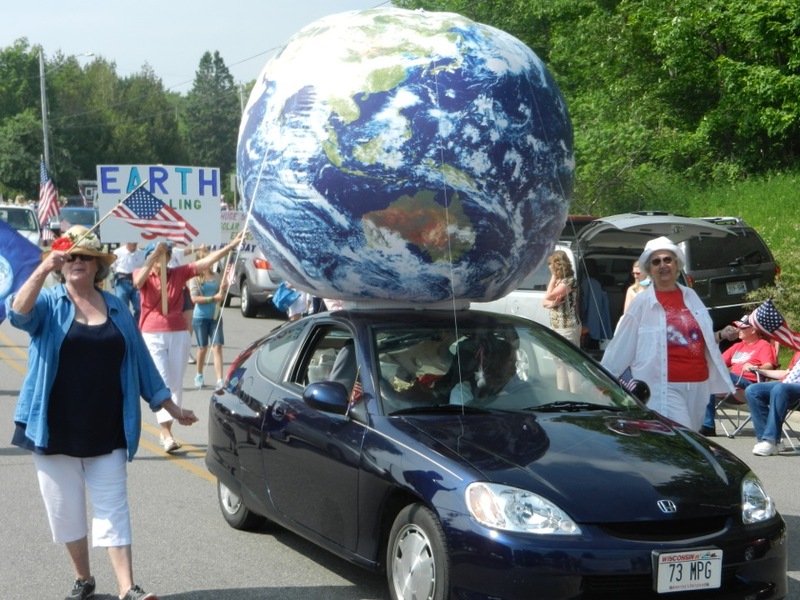 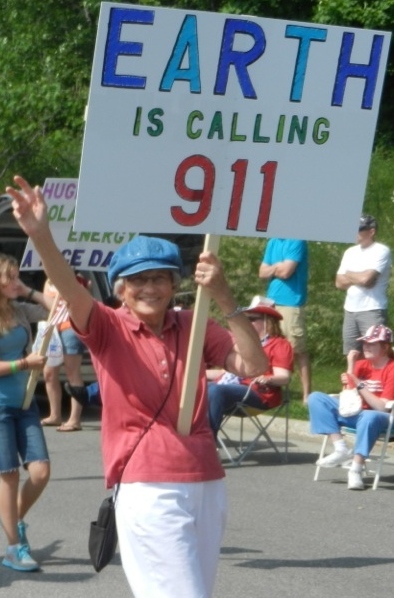 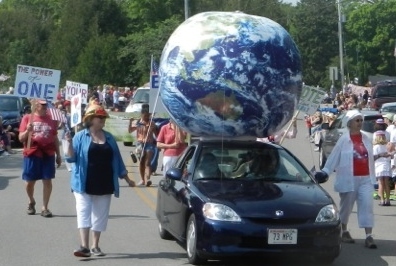 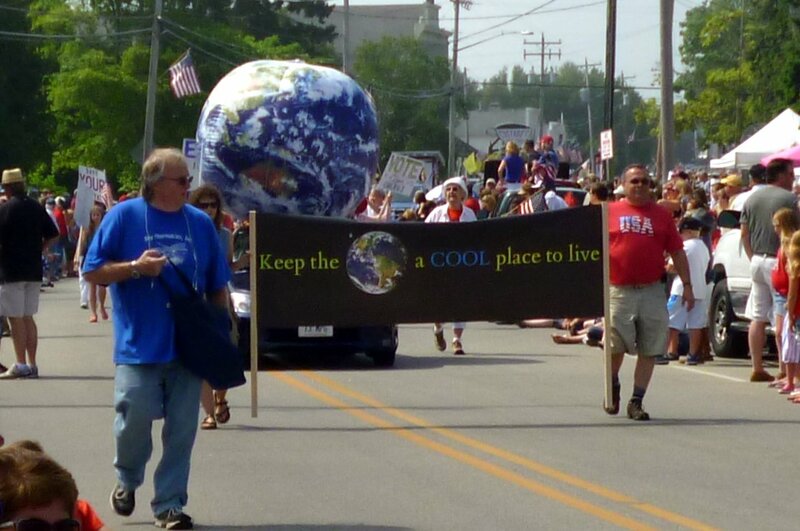 Climate change activists have been busy this summer raising awareness: 16 marched July 4th in Baileys Harbor. 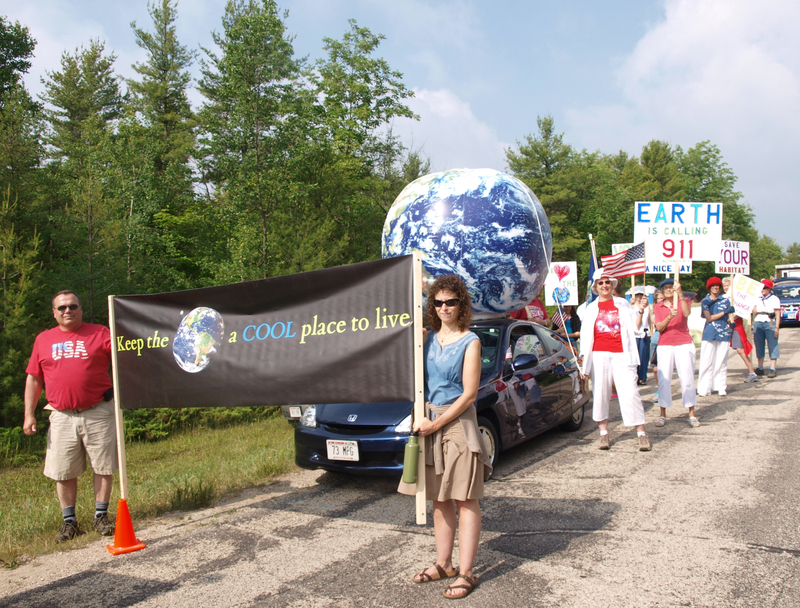 Three attended a Door County Folk Festival event is Sister Bay to display banners and distribute information. 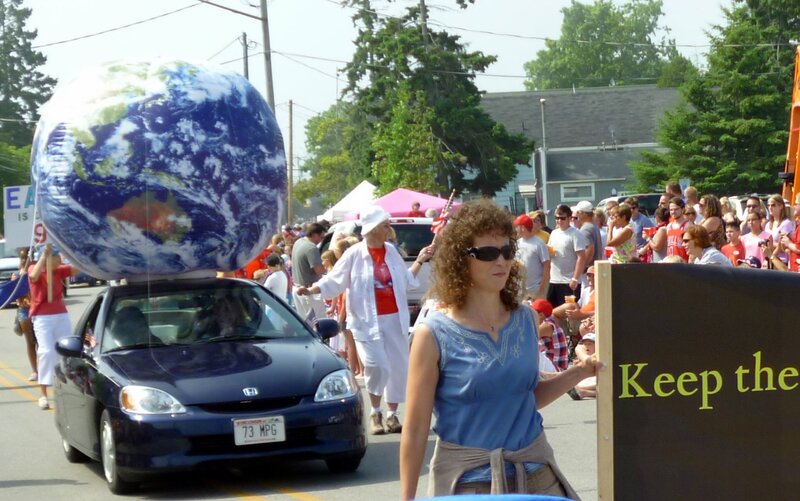 Tuesday, August 6 at 7 pm.